Salisbury Junior Soccer Club Break up Party Disco! The Salisbury Junior Soccer Club break up party was definitely an awesome experience, and what a way to cap off a fantastic season had by all. The kids had their awards ceremony earlier in the day, where they were recognised for their valiant efforts and participation throughout the entire season an awesome experience, and what a way to cap off a fantastic season had by all. The kids had their awards ceremony earlier in the day, where they were recognised for their valiant efforts and participation throughout the entire season. They celebrated with a nice lunch, jumping castle, and even participated in some awesome face painting. Then it was time for the disco, and DJ Emily was glad to know that their energy hadn’t depleted after the crazy day of awards and running around. They came in with so much energy that it took DJ Emily a moment to catch up with them, but once she did then they kicked into high gear. They started with a couple of games, playing Limbo until they couldn’t bend back any further. They would have challenged themselves at the game all night, but DJ Emily thinks their backs would get quite sore. They also played corners where it became so hard for them to choose a corner that it quickly became intense and stressful for every person involved. People kept changing corners last second, wanting to be in the winning corner so desperately! The kids danced along to some of the greatest dance tracks like the Macarena, 5, 6, 7, 8, YMCA, the Chicken Dance, and Watch Me Whip. They absolutely killed it with their dances moves and continued to rock out for the entire night. 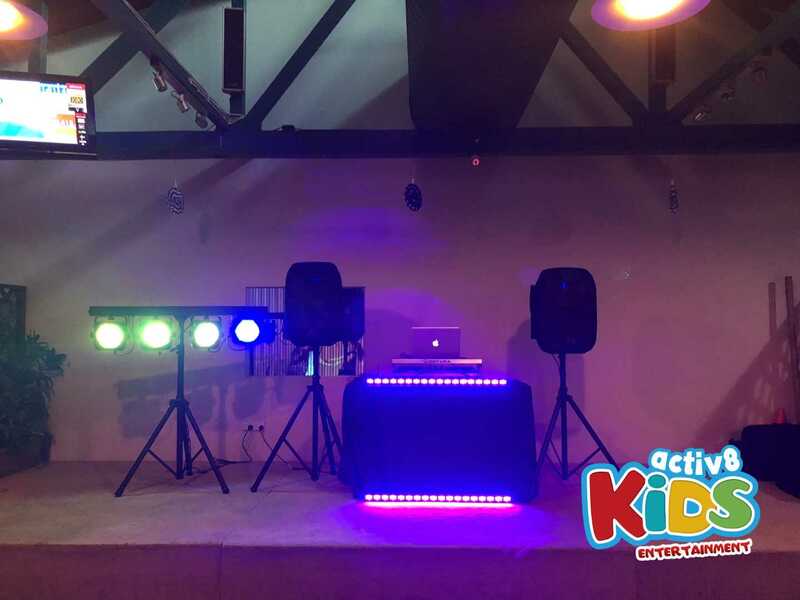 DJ Emily hopes the children of the Salisbury Junior Soccer Club had as much fun as she did, and also a huge congratulations to everyone receiving a trophy!